Brooklyn City Council members joined other officials, street safety advocates, and school reps at City Hall to call on Mayor de Blasio to hire more school crossing guards and to improve the job quality, Kings County Politics reports. According to the NYPD information page, crossing guards start at $10.33 an hour, and can earn up to $13.49/hour after three years. But they are forced to take summer off and don't work full time. Schedules vary but generally run from 7:00 a.m. to 9:30am and 1:30pm to 4:00pm. Local 372 retiree Sallie Robertson, who worked for 35 years as a school crossing guard. Robertson gets a $790 monthly pension. 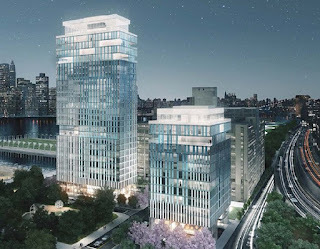 The Brooklyn Eagle reports that Brooklyn Bridge Park and the People for Green Space Foundation (Save Pier 6), which is fighting two high-rise towers planned for Pier 6 on the Brooklyn Heights waterfront, have agreed to settle a lawsuit by going through a process that would allow modifications to the park’s General Park Plan (GPP). Because of the settlement, there will be a public hearing that will take into account expert testimony and the public’s comments about the GPP. 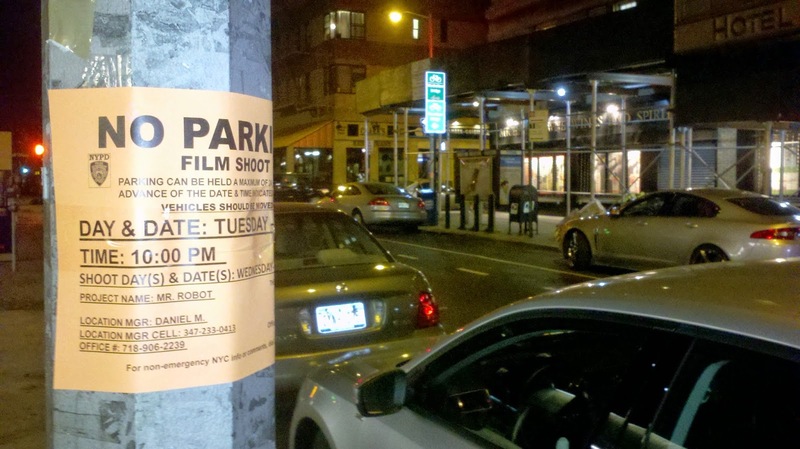 See Brooklyn Eagle for more on this breaking development. Adults and children milled around this raised platform in Brooklyn Bridge Park. Huh! Wonder why? A moment later ... whoosh! Screams of hilarity ensued as water gushed in changing patterns across the platform. The fountain is part of the "Please Touch the Art" exhibition by Danish artist Jeppe Hein, on exhibition this summer in the park. Thought you might want to see these giant inflatable deities from traditional Taiwanese temple fairs, placed in the middle of Union Square on Sunday. 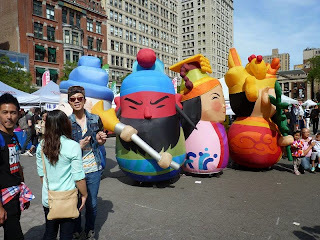 They were part of the Passport to Taiwan Festival, which celebrates Taiwanese American Heritage Week. In February, the team posted on Facebook: "Going into production this month on new season with great team. Please stay tuned..."
Here's the plot: Three middle age friends from Harvard,Yale and Princeton create a fictitious mob leader, Vinny the Shin, in order to shake down the industry and get their TV show made. 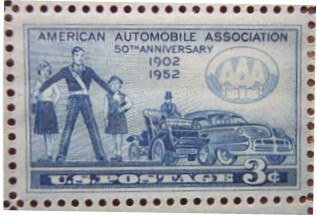 From Episode 1 ("The Godmother") above: "It's reality TV in reverse." 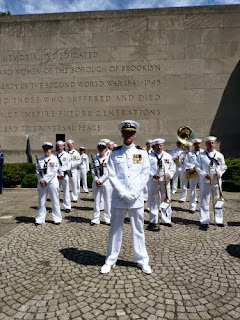 Brooklyn’s WWII veterans were honored at the Brooklyn War Memorial in Cadman Plaza Park on Sunday. 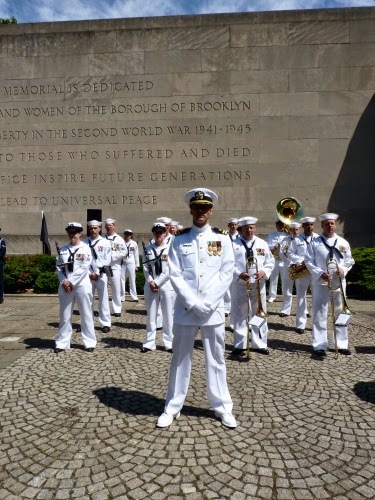 The Memorial is dedicated to the more than 300,000 men and women of Brooklyn who served in WWII. Inside the stately structure -- which has been closed since 1990 -- are the names of roughly 11,500 Brooklyn service members who died during the war. The Cadman Park Concervancy has established a GoFundMe campaign to raise money to refurbish and reopen the Memorial. It's about time! 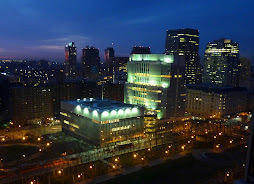 Visit brooklynwarmemorial.org to learn more. 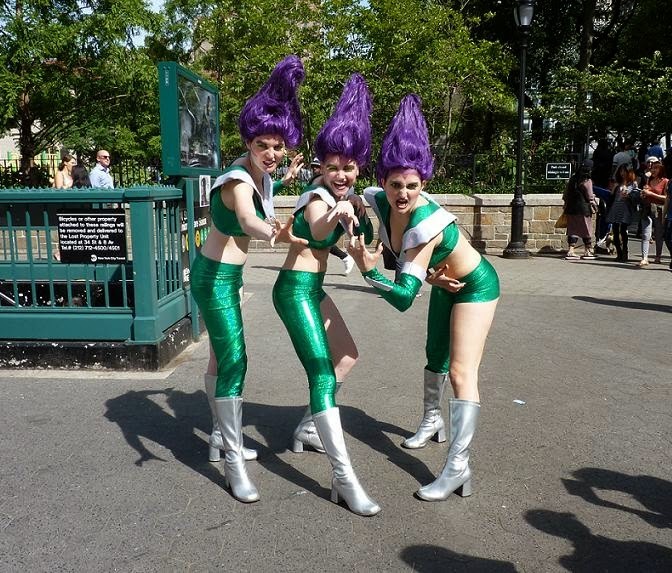 The Wild Women of Planet Wongo were sighted at Union Square in Manhattan on Sunday. They apparently escaped from Brooklyn with the intent of publicising their 60s sci-fi immersive theatre musical dance party extravaganza, taking place at Brooklyn Fireproof in Bushwick from June 11 - July 4. Those fireworks you'll be hearing tonight (Sunday, May 24) at 10:30 p.m. 11:30 p.m. are being shot off by Ellis Island in celebration of Memorial Day. 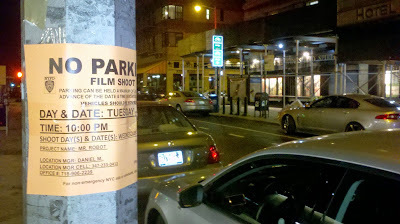 They are being sponsored by "Karen - Swank Productions Pritzker" according to NYC.gov. Billionaire philanthropist Karen Pritzker is heiress to the Hyatt hotel fortune, along with banks and conglomerates. Brooklyn Bridge Park was full of photographers and models on Wednesday -- brought out by the cool, clear, sunny weather. They included women wearing wedding gowns and others dressed in skimpy, fashionable outfits, all before a backdrop of the East River, with Manhattan across the way. It seems the sweeping view of the Manhattan skyline was not what the photographer pictured above was interested in, however. 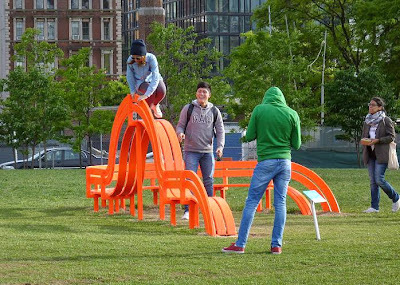 16 curvy, orange "Modified Social Benches" have popped up in Brooklyn Bridge Park. 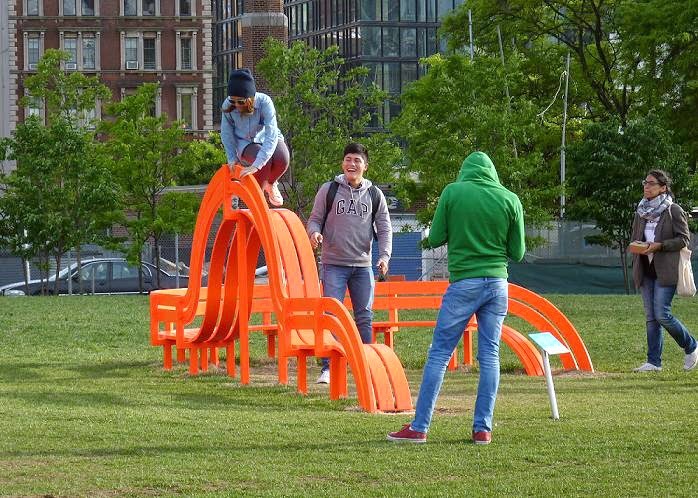 They may be fancy art, but people are having a great time climbing on top of them and crawling under them. The exhibition includes two other types of work besides the benches: Appearing Rooms, a series of “rooms” formed out of jets of water; and a Mirror Labyrinth, featuring evenly-spaced pieces of mirror-polished stainless steel. Developer Fortis Property Group presented its plans for the site of the former Long Island College Hospital (LICH) at a packed meeting of the Cobble Hill Association (CHA) on Monday. 40, 30 and 20 story towers are envisioned for sleepy Cobble Hill, as well as some lower-rise residential and a retail pedestrian mall on Pacific Street. Judging from the hisses, however, many thought the towers and retail were out of character for the neighborhood. Many were "still seething about the loss of their historic hospital after a wrenching two-year battle," the Brooklyn Eagle reports. See the Eagle for renderings of the project and full details. 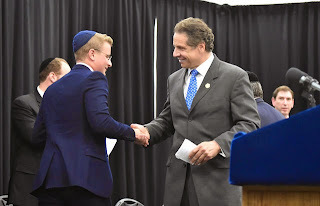 Governor Andrew Cuomo on Sunday visited churches and synagogues in Brooklyn to stir up support for the "Parental Choice in Education Act. The Act will provide $150 million in education tax credits annually to parents whose kids attend non-public schools. While religious schools are in favor of the bill, some public school parents see it as another attempt of the governor to dilute public education, reports the Wall Street Journal. Amtrak says that service will be fully restored between Philadelphia and New York beginning tomorrow morning, Monday, 5/18. The service restoration is scheduled to be effective in both directions with the departures of Train 110 from Philadelphia at 5:53 AM and Train 111 from New York City at 5:30 AM. Following the tragic passenger train derailment in Philadelphia, Amtrak says it has completed the installation of an Automatic Train Control (ATC) "code change point" on the west side of the curve where the accident took place, which will ensure trains enter the curve at 45mph. ATC provides a notification to the engineer when the train approaches a slow-down signal. 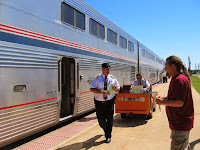 If the engineer does not respond, the system will automatically apply the train’s brakes. Investigators are still trying to figure out what caused a circular pattern of damage found on the locomotive's windshield. Reuters reported late Sunday that the Amtrak engineer driving the ill-fated train made no report of an object hitting windshield before the crash. 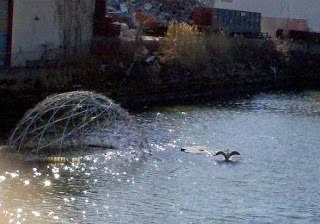 We came upon this enchanted isle in the waters off Brooklyn yesterday. 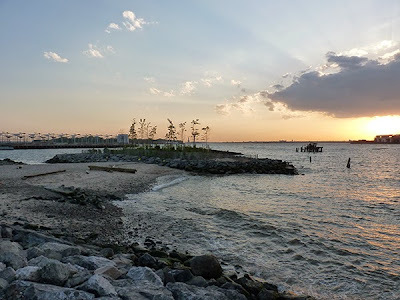 Though it seems like one of those places that mysteriously disappears the next time you look for it, you might catch a sight of it yourself if you walk near Pier 4 in Brooklyn Bridge Park. 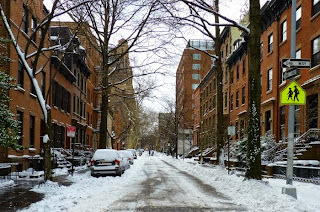 McBrooklyn is disappearing too, but just for a couple of days... We'll be back Monday! Have a nice weekend. 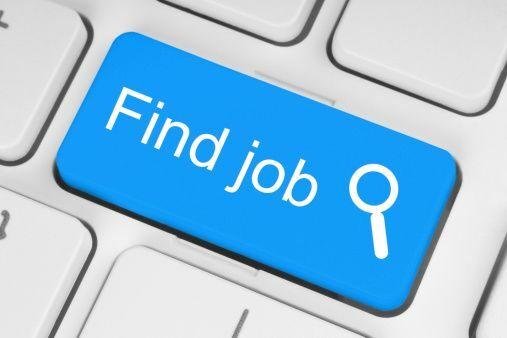 Wednesday at 4:00 PM, Brooklyn Borough President Eric L. Adams will host Brooklyn Job Fair 2015 at Brooklyn Borough Hall, 209 Joraalemon St., Downtown Brooklyn, offering employment opportunities with dozens of major local businesses. All Car Rent A Car, Applebee’s, Barclays Center, Brooklyn Nets, Brooklyn Spectator, Consolidated Edison Company, Duane Reade, FC Modular, Forest City Ratner Companies, Gallop NYC, Goldman Sachs, Good Help, The Home Depot, Home Reporter and Sunset News, Inner Force Tots, Maimonides Medical Center, Midwood Ambulance Service, Modell’s Sporting Goods, NYC Bike Share, New York City Police Department, New York Life Insurance Company, New York Marriott at the Brooklyn Bridge, New York State Department of Children and Family Services, New York State Department of Labor, Red Hook on the Road, Santander Bank, Sheraton Brooklyn, St. Nicks Alliance, Target, TDBank, TerraCRG, Urban Pads, and U.S. Army Battalion, NYC. The New York Times reports that a Wegman's market is coming to the Brooklyn Navy Yard. "The 74,000-square-foot store at the Navy Yard will be the company’s smallest by about 25 percent, but will still be about 20,000 square feet larger than the Fairway in Red Hook or the Whole Foods in Gowanus..." the Times reports. "Wegmans has consistently been ranked the top grocery store in the nation by Consumer Reports and the Food Network, and Forbes placed it among the top 10 employers in the country," they add. The Failed Messiah blog posted this video of the roof of the Beth Chana girls school in Williamsburg on fire this afternoon. According to NY Scanner, the kids are all safe. 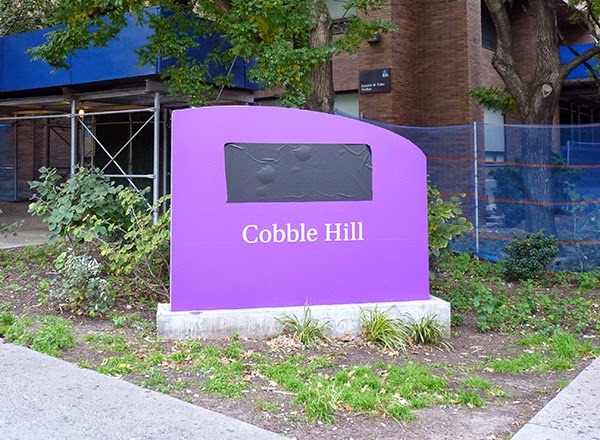 The Cobble Hill Association will focus on developing some kind of guidelines for the future development of the former Long Island College Hospital (LICH) at their spring general meeting. 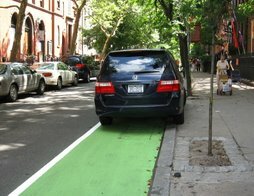 The meeting takes place on Monday, May 18 at 7:30 p.m. at Cobble Hill Health Center, 380 Henry St. The 20 building-site of the historic hospital will be converted into luxury condos. More details about the LICH meeting here. According to USA Network, 'Mr. Robot' is a psychological thriller that follows a young programmer who works as a cyber-security engineer by day and a vigilante hacker by night. A mysterious leader (Christian Slater) of an underground hacker group recruits him to destroy the firm he is paid to protect. ..
- Department of Homeland Security head Johnson asks Brooklyn groups for help fighting home-grown terrorism, reports the Brooklyn Eagle. 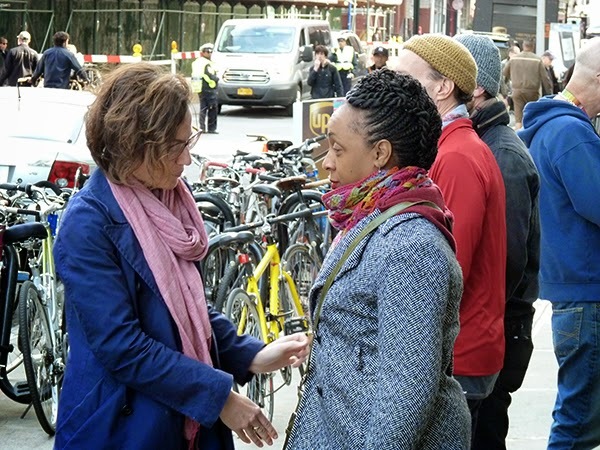 - A Brooklyn politician was punched in the face at a Greenpoint bar defending a barmaid, says Gothamist. 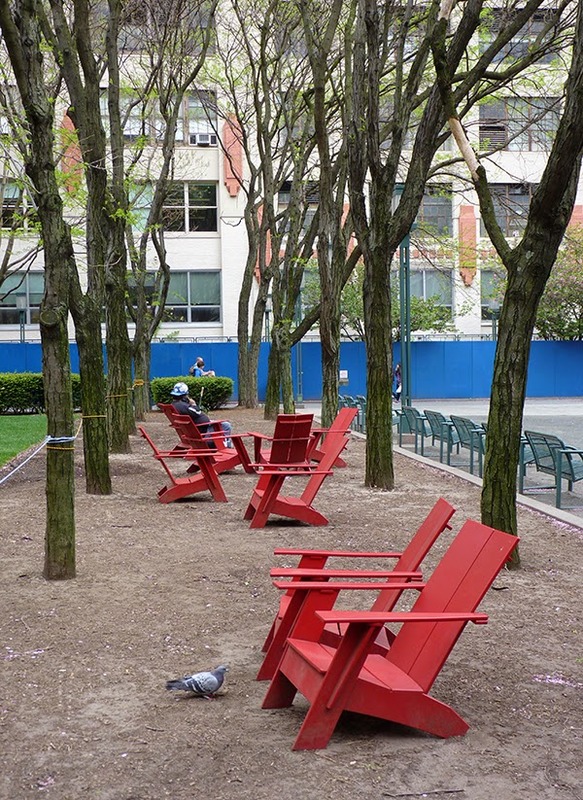 - Atlantic Yards Report mulls over the Downtown Brooklyn Partnership's "college town" agenda -- amenities for students and schools, or development rights? - Uber slashes rides to $2.75 for final weekends of L train closure, according to the Brooklyn Eagle. - Brownstoner looks at TV locations in Brooklyn: The Americans, The Knick, Blacklist, and more. 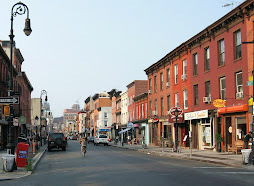 - Some Brooklyn transplants are doing the unthinkable -– moving back to Manhattan in search of a better real estate deal, according to TRD. - Jealous Staten Island man kills his ex-girlfriend's Brooklyn boyfriend, reports SIlive. - Jade Helm: A Pentagon training exercise is sparking controversy with conspiracy theories claiming it's a secret plot to impose military rule in Texas, using closed Walmart stores, according to The Hill. - The massive bust of Edward Snowden that was put on display in Fort Greene Park last month has finally been returned by the NYPD, reports Gothamist. - Very sad: A teenager was critically injured after being struck by a car outside James Madison High School in Sheepshead Bay, reports 7online. - Brooklyn accounted for 70 percent of the new residential development applications filed last month, according to TRD. - Creator's Project/ Vice: Saying goodbye to New York's party heaven for weird vibes, GHE20G0TH1K. - Nation: The tiny micro-apartments being built at the Brooklyn Navy Yard have a mini dishwasher, mini fridge, two hobs and a microwave but no oven. - Brooklyn's Rep. Nydia Valezquez and Rep. Jerrold Nadler are two pols listed by NY1 as spending big bucks on campaigns despite non-competitive elections. - Do you own a Lenovo computer? Another “massive security risk” has been found, says The Hill. The children of the GWYSL divide this one soccer field into 16 fields so the bursting child population of Greenpoint and Williamsburg get a chance to play despite their lack of park space. Here they are collectively asking #wheresourpark? 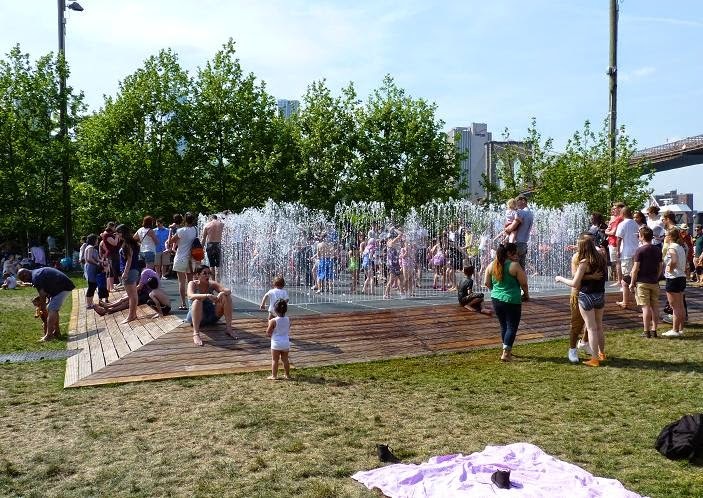 Background: In 2005, the City of New York promised the neighborhoods of Greenpoint and Williamsburg a 28-acre park along North Brooklyn’s waterfront. Almost a decade later, tens-of-thousands of new residents have moved in, but very little of Bushwick Inlet Park has materialized. - The retired correction officer who shot and killed a man at Brooklyn's Borough Hall subway station will not face charges, reports 7online. - Police officer dies in a motorcycle crash in Brooklyn -- struck by an NYPD School Safety Agent, reports Yeshiva World. - The Atlantic Yards Report digs into which pols and parties are getting donations from mega-developer Bruce Ratner. - Brooklyn man who bears uncanny resemblance to Van Gogh sparks internet commotion, says PIX11. - Forever 21 is returning to Downtown Brooklyn, taking a spot on Fulton Street, says the Wall Street Journal. - Curbed reveals everything you might ever want to know about what will soon be Brooklyn's tallest residential tower. 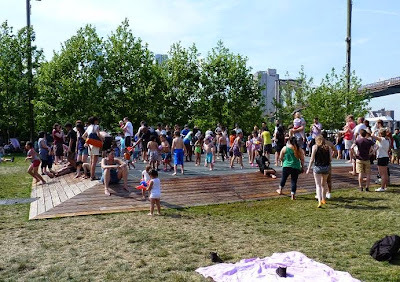 - Joseph Lentol, in an opinion piece in the Brooklyn Eagle, pushes de Blasio to give the people the park they were promised -- Bushwick Inlet Park. - The Brooklyn native who invented DSL, bringing high-speed Internet service to millions of households, has died, the NY Times reports. 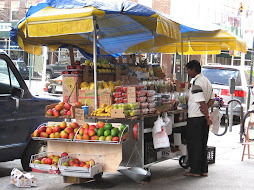 - Food festival Smorgasburg is coming to Coney Island this summer, says Bensonhurst Bean. It's Buddha's Birthday today, according to Nepalese reckoning. The date marks the birthday of the Prince Siddhartha Gautama. 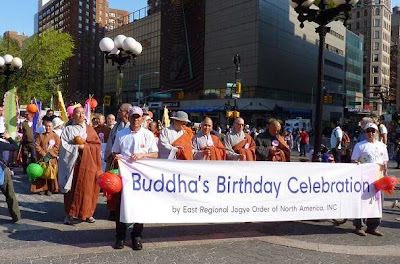 People celebrate by going to a service, eating communal vegetarian meals including kheer (a sweet rice porridge), having joyous parades, and washing baby Buddha in a ritual. Nepalese in NYC celebrated a day early with a parade in Washington Square Park on Sunday. In Nepal, according to Wikipedia, Buddha's birthday is celebrated on the full moon day of the Vaisakha month of the Buddhist and Hindu calendar. This year, that falls on May 4. Do you live in Bay Ridge, Staten Island, Crown Heights, Prospect Lefferts Gardens or East Flatbush? 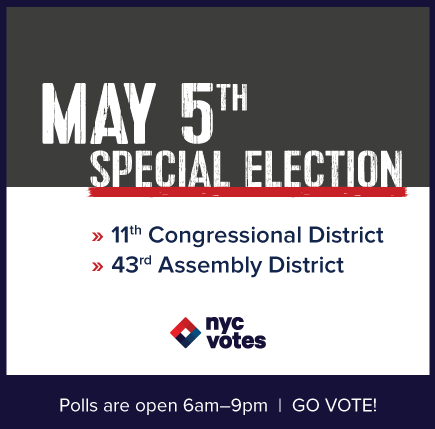 On Tuesday, May 5th, voters in these areas will be electing a new representative to the U.S. Congress, in District 11 (Staten Island/Bay Ridge) and to the New York State Assembly, in District 43 (Crown Heights/Prospect Lefferts Gardens/East Flatbush). In District 11, Democrat Vincent J. Gentileis running against Republican Dan Donovan and Green Party candidate James C. Lane. (One of these will replace now-disgraced Michael Grimm). In AD 43, the candidates are Republican Menachem M. Raitport, WFP Diana C. Richardson, Independence Party Shirley M. Patterson, and Love Yourself Party Geoffrey A. Davis. Visit the NYC Voters Guide to read more about the candidates, find your polling site, etc. 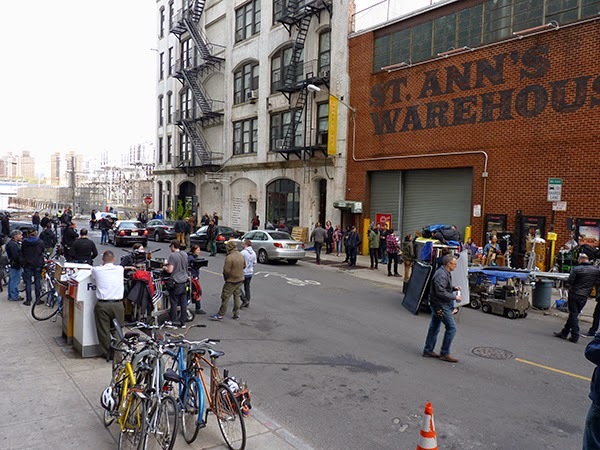 "Money Monster" took over Jay Street and the Brooklyn Roasting Company in DUMBO on Thursday. Jodie Foster (shown above, left) directs Julia Roberts, George Clooney, Caitriona Balfe, Dominic West and Jack O'Connell in the film about a guy who holds a Wall Street money guru responsible for losing all of his family's money. 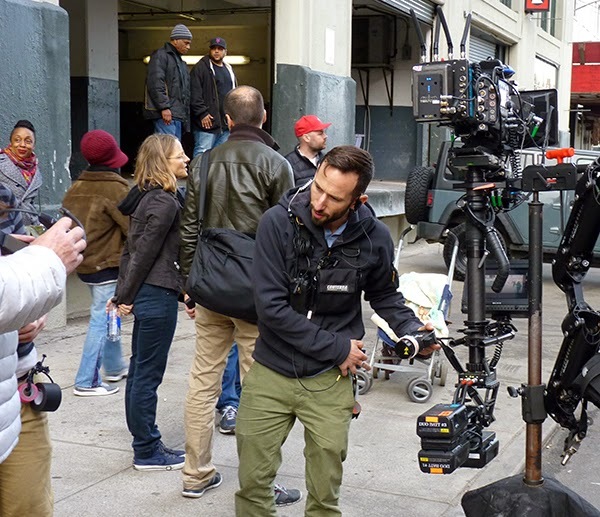 On Thursday, Foster directed inside the Brooklyn Roasting Company, and then later in the day used Jay Street as the set for a scene involving a baby stroller and various pedestrians. Above, a member of the costume dept. spruces up the outfit of a cast member prior to the outdoor scene. TriStar Pictures intend to release the film in 2016, according to Wikipedia. 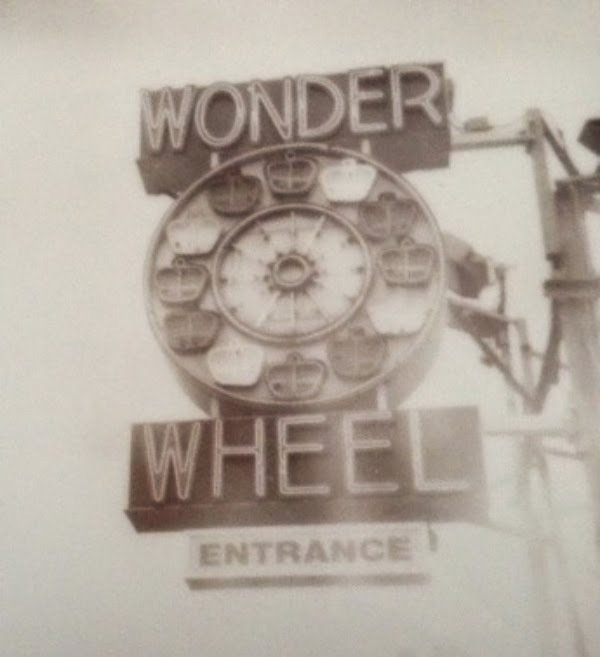 On May 8th from 7 to 10 p.m., Parachute Literary Arts invites you to the first ever poetry ride on the world-famous Wonder Wheel. Join a "multifarious array" of New York City's new and renowned poets in Coney Island for a surprising ride as the sun sets and the sky darkens. During your ride on the amaazzing Wonder Wheel, poets will recite to you. Adding to the fun: Cash bar with beer from Coney Island Brewing Company; a booktable and snacks from Dos Toros; broadsides. Plus: Soozie Hwang & the Relastics sing songs about books (including Vonnegut). 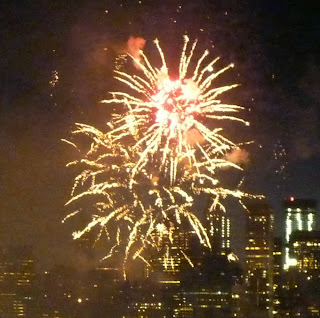 The evening is a benefit for Parachute Literary Arts' poetry workshops and community poetry libraries in Coney Island. You can read some poetry from previous teen workshops at Teenage Fever Mag or on Parachute Literary Art's website. P.S. It is for a good cause! P.P.S. It is a cheap date! P.P.P.S. The Wonder Wheel's slogan is Go Up It's Great!